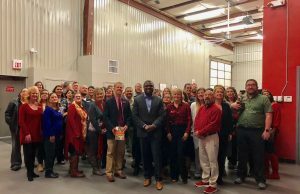 A Big thank you to Physical Therapy Today for having me as the guest speaker at their annual Christmas Luncheon. 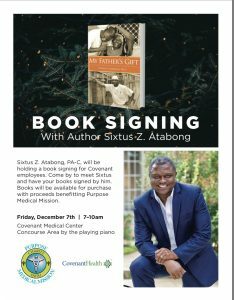 Sixtus Z. Atabong will be holding a book signing for Covenant Health System employees. Come by to meet Sixtus and have your books signed. 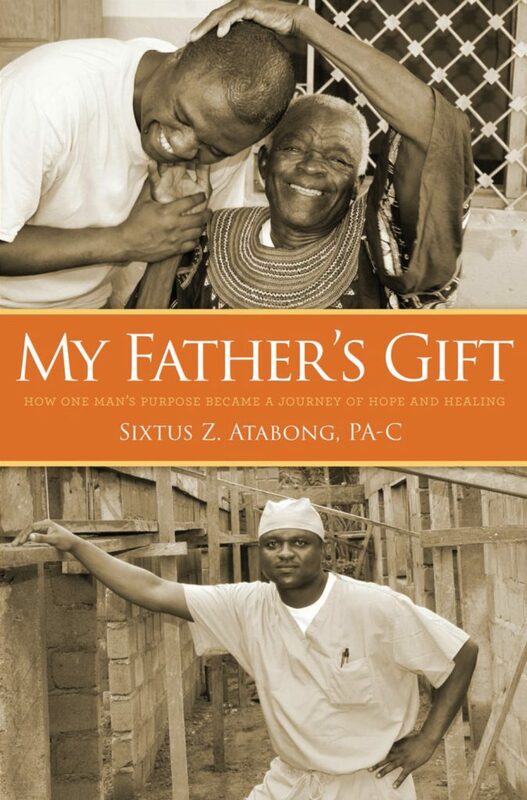 Our second book signing event in Lubbock Meet Sixtus Atabong and get a signed copy of the newly released My Father's Gift, on sale now! 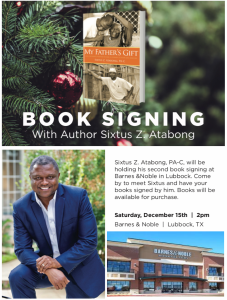 Sixtus Z. Atabong will be holding his second book signing for at Barnes and Noble in Lubbock. Come by to meet Sixtus and have your books signed. Sixtus Z. Atabong will be holding a book signing at the Westin Memorial City in Houston, Texas Come by to meet Sixtus and have your books signed by him. Books will be available for purchase.